The members of the Curriculum21 Faculty are highly skilled national and international leaders who have extensive experience in the area of Curriculum Mapping. Their areas of expertise include the mapping process; assessment design; developing support structures and leadership teams to sustain the process; and integrating other initiatives into the mapping process. Our faculty of independent consultants provides extensive work with schools and organizations in all aspects of 21st century curriculum. Some are also school leaders whose primary focus is to lead the work in their own school and/or organization. Many of them have published books and articles on the instructional process. To inquire about a Curriculum21 Faculty member working with your school, wish assistance in planning comprehensive professional development for your school/district/organization, or would like help training a leadership team to help implement the curriculum21 or mapping process, please send us a Services Request. We will be glad to make recommendations as to which faculty member(s) might best meet your curricular needs. Dr. Heidi Hayes Jacobs, creator of Curriculum21, is also the founder and president of Curriculum Designers, Inc. Heidi has served as an education consultant to thousands of schools nationally and internationally. She works with schools and districts K-12 on issues and practices pertaining to creating 21st century learning environment, upgrading curriculum mapping and strategic planning. Numerous articles have appeared in professional journals. Heidi is the author of twelve books, the most recent being Bold Moves for Schools: How We Create Remarkable Learning Environments, co-authored with Marie Alock and published by ASCD. Her other books include The Curriculum Mapping Planner: Templates and Tools for Effective Professional Development, co-authored with Ann Johnson; and Curriculum 21: Essential Education for A Changing World, which was selected as the worldwide member book by ASCD. She created the first LumiBook with SINET entitled Mapping to the Core:Integrating the CCSS into Your Local School Curriculum in 2012. Heidi’s book series, Contemporary Perspectives on the New Literacies focuses on Mastering Digital Literacy, Mastering Media Literacy, Mastering Global Literacy, and Leading the New Literacies (Solution Tree, 2014-2015). Working with a range of organizations, Jacobs has online courses with PBS Teacherline and PD360 and has consulted to groups ranging from state education departments, ECIS, the Near East School Association, Near East School Association, the College Board, the Kennedy Center, the Peace Corps World Wise Schools, Carnegie Hall, the Tri-Association of Central America, Mexico, and the Caribbean, the United Nations Council on Teaching about the UN, the International Baccalaureate, the NY State Higher Education Commission and the CCSSO workgroup on Global Competencies. In 2014, Heidi received the MAIS International Educator Award in Seville, Spain, for contributions to global education. Earl Nicholas is an experienced mapper and curriculum mapping facilitator, he is a 35-year veteran classroom teacher. Earl has also served as a software consultant since 1979, and as the district-wide mapping facilitator for a large suburban K-12 school system.Earl has led curriculum mapping and technology initiatives across the United States and Canada, ranging from a county-wide district with over 4,000 teachers to independent schools, inner-city schools, and one small rural district with only 17 teachers in grades K-12. He frequently presents with Dr. Jacobs at regional conferences.Earl uses the model of Heidi Hayes Jacobs to conduct both large and small-group staff development programs around the country, emphasizing how teachers can integrate 21st century technology into their mapping process. A dynamic and engaging presenter, Earl’s effective combination of technology expertise, classroom experience, and light-hearted story-telling have brought him high praise from both administrators and teachers in the United States and Canada. Karen Bailey is an expert in high-quality classroom assessment who has worked extensively with educators in the United States and Canada. Her knowledge and enthusiasm make her a sought-after educational coach and presenterKaren’s experience with educational best practice, assessment, and curriculum mapping comes from her work as a successful classroom teacher and professional development specialist. A highly energetic and engaging speaker, in her current role Karen is committed to assisting educators and administrators improve their assessment literacy and to better understand the role it plays in curriculum mapping and improved student learning. Mike Fisher is a former teacher who is now a full-time writer, consultant, and instructional coach. He works with schools around the country, helping to sustain curriculum upgrades, design curriculum, and modernize instruction in immersive technology. He has taught a variety of grade levels and content areas over the years and has over a decade of experience providing Professional Development. Michael is the author of Digital Learning Strategies: How do I assign and assess 21st Century Work? and the co-author of Upgrade Your Curriculum: Practical Ways to Transform Units and Engage Students, both published by ASCD. He is also a contributing author to the Solution Tree series Contemporary Perspectives on Literacy. Michael holds a bachelor’s degree in Biology and a Master’s in English Education. He also holds post-baccalaureate certificates in teaching science and language arts, as well as gifted students. You can find Mike online on TWITTER, the CURRICULUM21 BLOG, ASCD’s EDGE Social Network, or on his BLOG. Silvia Rosenthal Tolisano is a Third Culture Kid (TCK). Wikipedia refers to a TCK as “someone who, as a child, has spent a significant period of time in one or more culture(s) other than his or her own, thus integrating elements of those cultures and their own birth culture, into a third culture.” Silvia was born in Germany, raised in Argentina, lived in the United States, and currently resides in Sao Paulo, Brazil. Her multicultural upbringing fueled her passion for languages, travel, global awareness and competencies.Silvia holds a Bachelor’s Degree in Spanish with a Minor in International Studies and a Masters in Education with an emphasis in Instructional Technology. She has worked as a World Language teacher, Technology Integration Facilitator and 21st Century Learning Specialist.Her interests include globally connected learning, technology integration, 21st Century skills and literacies, as well as digital storytelling. Silvia Rosenthal Tolisano is available for national and international conference presentations, consultations, and teacher training sessions. She is able to work with you and present in English, Spanish and German.Silvia is known in the international blogersphere under the name of “Langwitches.” To learn about her work, subscribe to the Langwitches Blog and follow her on Twitter. She is a regular contributor on the Tech & Learning Advisor Blog. Silvia is also the author of the book Digital Storytelling Tools for Educators‚. Jonelle Rocke is an educational consultant to K-12 school districts and professional organizations. She has dedicated the past ten years of her life to the field of teaching and learning where she holds graduate degrees in educational leadership and childhood education. Jonelle has provided professional development trainings to thousands of educators in the areas of instruction, data literacy and the collaborative development of curriculum and assessments. She has partnered with the New York City Department of Education on various citywide initiatives around curriculum mapping alignment and assessment literacy. She currently works with schools and districts in New York State and Massachusetts around the planning, implementation and collaborative inquiry process of curriculum mapping.Jonelle is a first generation American born to Caribbean immigrants of Jamaica and Trinidad. Her mom placed a high value on education and as a result she was the first person in her family to graduate with a college degree. In the same way her mom inspired her, she seeks to inspire others to make a difference in the lives of others through education but also through movement as an inspirational dancer. 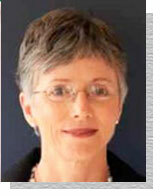 Dr. Marie Alcock is a national and international education consultant. Marie is president of Learning Systems Associates. In addition she is currently on the faculty of Walden University’s School of Education where she serves as a lead professor in curriculum, instruction, and assessment practices. Working with the American Education and Research Association (AERA) and People to People Dr. Alcock has traveled broadly to share her knowledge and to gain insight into what other countries are developing in the field of education.With extensive experience working in public and private education in Vermont, North Carolina, New Jersey, and New York City schools as a teacher and administrator.Marie brings a broad range of experience and knowledge peppered with an original vision to the field of education. As a public advocate she founded the non-profit TEN list (Tomorrow’s Education Network), which is dedicated to connecting the greater community with students in the classroom to improve student literacy. Bill Sheskey is a lifetime educator with experience as a school district instructional technology specialist, classroom teacher, and athletic coach. Educators now demand dynamic professional development experiences that are hands on in the development of authentic assessment strategies, digital literacy, contemporary content delivery, and web based tools for the classroom. Bill designs and facilitates a series of engaging workshops for educators at national, state and local education conferences where participants leave the workshop with multimedia tools to immediately engage their students. Allison Zmuda works with schools and districts to create dynamic learning environments for like-minded educators, parents, and students. The goal is creating a competent classroom: a learning environment where all participants believe it is possible for them to be successful, a place where every assignments is challenging, feasible, and worthy of the attempt.Allison has been in education for 20 years. She got her start as a public high school Social Studies teacher in Newtown, CT and then shifted her role to author and education consultant. She has authored six books, including The Competent Classroom (2001), Transforming Schools (2004), and Breaking Free from Myths about Teaching and Learning (2010). Her latest project is the co-founder and curator of a site designed to inspire learning that is challenging, doable, and worthy of the attempt.Allison specializes in working with a handful of long-term clients (PK-12) on multi-year projects to support learning as defined by school and community goals. Jeanne Tribuzzi is the Director of English Language Arts, ESL and Second Languages in the West Seneca Central School District in West Seneca, NY. She has served in a variety of roles in the West Seneca district for the past 21 years as a primary teacher, a middle school English teacher, the Director of Staff Development and she is currently the ELA/ ESL & Second Language Director.Jeanne has extensive experience with curriculum mapping, and is currently working to align district work to the Common Core Standards. She works with teachers and schools across the nation on curriculum and literacy and is working on her doctorate at the University of Buffalo. Jeanne presents at the National Curriculum Mapping Conference each summer and at other conferences with Heidi Hayes-Jacobs several times each year. Jeanne lives in Orchard Park, NY with her family. Dr. Bena Kallick is an international consultant providing services to school districts, state departments of education, professional organizations and public sector agencies throughout the United States. Dr. Kallick received her doctorate in educational evaluation with Union Graduate School. Her areas of focus include group dynamics, creative and critical thinking and alternative assessment strategies in the classroom. Formerly a Teachers’ Center Director, Dr. Kallick also created a Children’s Museum based on problem solving and invention.Bena was the coordinator of a high school alternative designed for at-risk students. Her written work includes Literature to Think About (a whole language curriculum published with Weston Woods Studios), Changing Schools Into Communities for Thinking, North Dakota Study Group, University of North Dakota, Assessment in the Learning Organization, co-authored with Arthur Costa, from ASCD, Sept. 1995. Her audio tapes include Creative and Critical Thinking: Teaching Alternatives and Collaborative Learning: Strategies to Encourage Thinking (with Marian Leibowitz). She is co-creator of TechPaths, a system designed to facilitate teachers’ networks and communications about performance assessment. Dr. Kallick’s teaching appointments have included Yale University School of Organization and Management, University of Massachusetts Center for Creative and Critical Thinking, and Union Graduate School. She is on the Boards for JOBS for the Future and the Apple Foundation. Dr. Debbie Sullivan was the Superintendent and Associate Superintendent in MSD of Decatur Township in Indianapolis, Indiana who has first-hand experience in supporting a school district in implementing the curriculum mapping process. She has worked in Decatur for over 25 years and has served as teacher, staff developer, and administrator. The district has used the curriculum mapping process for over ten years as part of the district Journey Toward Excellence so her approach is based on practical experience.Debbie has also worked with schools and districts across the country to help them implement and support the mapping process in their schools. As a member of Dr. Heidi Hayes Jacobs’ core team, she has helped facilitate aspects of the training for the Curriculum Alignment Project in New York City including unpacking standards, aligning curriculum, promoting vertical and horizontal articulation, creating leadership structures and implementation plans, and assessing student performance. Chic Footeis an educator of more than 30 years experience who is committed to the 21st century curriculum as an achievable reality for all learning communities. She began her career as a teacher and later an assistant principal in New Zealand schools. She has been fortunate to have had a wide range of opportunities to work in the education sector both nationally and internationally.Chic has enjoyed working with teachers and school systems, pre-service teacher education, and professional development projects within New Zealand, the USA and the Middle East. This has included project coordination and leadership, teaching and supervising undergraduates, resource development, facilitating teacher leadership, and developing effective curriculum design.Over the past 15 years this range of experience have led to in-depth skills in analyzing need, and designing, coordinating and facilitating targeted professional learning opportunities.While working as a visiting instructor at Oakland University, MI, USA, in 1998, Chic was fortunate to have the opportunity to begin her continued association with Heidi Hayes Jacobs and Curriculum Mapping.Chic completed in-depth training in Curriculum Mapping with Heidi and Bena Kallick in 2002, and has continued to develop her knowledge and skills over the years. She believes that Curriculum Mapping is the essential hub of all design structures for effective learning institutions, their strategic direction, and an aligned and relevant curriculum for the 21st century learner in their local and global community.Chic is based in New Zealand and consults primarily in the Pacific Western Rim. You may reach her at chic.foote@helix.ac.nz. Janet Hale has been consulting and training for over 20 years. She has specialized in curriculum mapping since 1998. Janet works extensively with inner city, urban, suburban, and rural schools/districts, dioceses, and counties concerning their initial understanding, prologue, implementation, and advanced mapping needs. Her ability to work with and engage teachers, teacher leaders, and administrators in the mapping processes is a benefit to those who desire systemic change and educational growth in all learners.Based in Tucson, Arizona, the nationwide schools and districts that Janet works alongside appreciate her knowledge, expertise, and accessibility while involved in curriculum mapping including planning and implementation, quality map writing with design in mind, breaking apart or unpacking standards, replacing/upgrading assessments and evaluations, and conducting curriculum reviews.Janet has two professional curriculum mapping books available from Corwin Press. A Guide to Curriculum Mapping: Planning, Implementing, and Sustaining the Process, and An Educational Leader’s Guide to Curriculum Mapping: Creating and Sustaining Collaborative Cultures. Both titles include a Forward by Heidi Hayes Jacobs.